First degree in Mathematics and Computer Science at the Technion. Participated in the Excellence Program: October 1999 – June 2002. Yishai did a classified research at Rafael for which he was given credit from the Faculty of Mathematics. 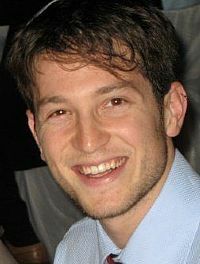 During his studies, Yishai won the Nahari prize (2001) and the Maxim Bikov prize (2002) for achievements in studies from the Department of Mathematics. Today (2017): Yishai is cofounder and VP at CodeMonkey (playcodemonkey.com), a funded startup that developed an online game that teaches children to code and reached over 5 million children worldwide. Yishai also consults and mentors technology startups, and served as adjunct staff in the Technion (Electrical Engineering Faculty).